Helios and Matheson Analytics Inc. (Nasdaq: HMNY) (“HMNY”), a provider of information technology services and solutions and the 92% owner of MoviePass Inc. (“MoviePass”), the nation’s premier movie-theater subscription service, today announced that it has commenced a best-efforts underwritten public offering, subject to market and other conditions, to issue and sell shares of its common stock and warrants to purchase shares of its common stock. The shares of common stock and warrants to purchase shares of common stock are being offered as units. The shares of common stock and warrants will be issued separately. There can be no assurance as to whether or when the offering may be completed, or to the actual size or terms of the offering. HMNY may use the net proceeds from this offering for general corporate purposes of HMNY and its subsidiaries and transaction expenses. Canaccord Genuity LLC is acting as sole book-running manager for the offering. Palladium Capital Advisors, LLC is acting as a financial advisor in connection with the offering. The shares of common stock and warrants described above are being offered pursuant to a shelf registration statement previously filed with and declared effective by the Securities and Exchange Commission (SEC). A preliminary prospectus supplement and accompanying prospectus relating to the offering will be filed with the SEC and will be available for free on the SEC’s website at www.sec.gov. Copies of the preliminary prospectus supplement and the accompanying prospectus relating to the offering may also be obtained, when available, from Canaccord Genuity LLC, Attention: Equity Syndicate Department, 99 High Street, 12th Floor, Boston, Massachusetts 02110, by telephone at (617) 371-3900, or by email at prospectus@canaccordgenuity.com. Helios and Matheson Analytics Inc. (HMNY) is a provider of information technology services and solutions, offering a range of technology platforms focusing on big data, artificial intelligence, business intelligence, social listening, and consumer-centric technology. HMNY owns approximately 92% of the outstanding shares (excluding options and warrants) of MoviePass Inc., the nation's premier movie-theater subscription service. HMNY’s holdings include RedZone Map™, a safety and navigation app for iOS and Android users, and a community-based ecosystem that features a socially empowered safety map app that enhances mobile GPS navigation using advanced proprietary technology. HMNY is headquartered in New York, NY and listed on the Nasdaq Capital Market under the symbol HMNY. For more information, visit us at www.hmny.com. This release contains forward-looking statements within the meaning of Section 21E of the Securities Exchange Act of 1934, as amended, including but not limited to statements regarding HMNY’s expectations on the completion, timing and size of the proposed public offering and the anticipated use of proceeds therefrom. These forward-looking statements are subject to a number of risks, including market conditions related to the proposed public offering and the risk factors set forth from time to time in HMNY’s SEC filings, including but not limited to the risks that are described in the “Risk Factors” section of HMNY’s Annual Report on Form 10-K for the year ended December 31, 2017, and in the preliminary prospectus supplement related to the proposed offering to be filed with the SEC on or about the date hereof, each available on the SEC's web site at www.sec.gov. In addition to the risks described above and in HMNY’s other filings with the SEC, other unknown or unpredictable factors also could affect HMNY’s results. No forward-looking statements can be guaranteed, and actual results (including, without limitation, the ability to complete this offering and generate the net proceeds necessary for HMNY to complete its business objectives) could differ significantly from those contemplated by the forward-looking statements. The information in this release is provided only as of the date of this release, and HMNY undertakes no obligation to update any forward-looking statements contained in this release on account of new information, future events, or otherwise, except as required by law. FRIDAY PM UPDATE with AMC statement: AMC Theaters has gone wide with a release doubling down on its side of the ruckus with monthly movie ticket service MoviePass. The exhibitor reiterates the the decision to block sales at 10 AMC locations was made by MoviePass, and accuses the company of making “false statements” about AMC. On Thursday, MoviePass shaved 10 of the busiest AMC locations off its app in an effort to take a hard position against the nation’s largest movie theater chain. MoviePass is seeking a $3 cut on AMC tickets that it covers, plus 20% of concessions given the foot traffic it sends to AMC (a total estimated at about $2 million a week, per MoviePass insiders). FRIDAY AM UPDATE with statement by MoviePass parent company CEO: Despite reports this morning, monthly movie ticket service MoviePass has not cut 100% ties with AMC Theatres per some Wall Street reports. Yesterday the monthly movie ticket service shaved 10 of the busiest AMC locations off its app (theaters such as the Boston Common and Empire 25 in New York City) in an effort to take a hard position against the nation’s largest movie theater chain. If you thought relations between MoviePass and AMC were tense, buckle up, it’s going to be a bumpy ride. 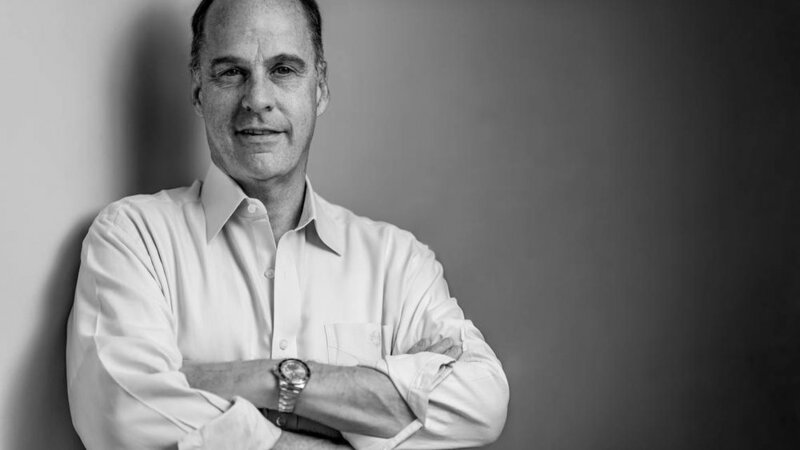 Ted Farnsworth, CEO of MoviePass parent Helios & Matheson, has said in reports that AMC has been ignoring MoviePass for a while and he has considered sending a letter to its board. MoviePass reportedly struck deals with close to 1,000 indie cinemas, in which it gets a $3 cut on ticket sales and/or 25% of concessions sales. Here’s the rub: While the major studios don’t mind MoviePass as they drive traffic (some in fact are shuffling marketing dollars toward them), exhibitors don’t like an outside company coming in and dictating the price of movie tickets to the public. For $9.95 a month, MoviePass subscribers receive unlimited tickets. MoviePass counts 1.5 million subscribers, and that figure is growing. MoviePass has refused to cover the following AMC venues: Empire 25 (New York City NY), Century City 15 (Los Angeles City CA), Mercado 20 (San Francisco-Oakland-San Jose CA), Disney Springs 24 (Orlando-Daytona Beach-Melbourne FL), Loews Boston Common 19 (Boston MA-Manchester NH), River East 21 (Chicago IL), Mission Valley 20 (San Diego CA), Tysons Corner 16 (Washington DC (Hagerstown MD), Veterans 24 (Tampa-St. Petersburg (Sarasota) FL) and Loews Alderwood Mall 16 (Seattle-Tacoma WA). The monthly movie ticket service’s research has shown its subscribers aren’t loyal to any theater: They’ll literally drive past two theaters to get to the showtime or title that they want to see. Helios & Matheson (HMNY) was down 4% in trading this morning at $8.56 whereas AMC was down 4% at $12.62 at 7:56 AM PST. PREVIOUS EXCLUSIVE, Thursday 1:41PM: Is a surprise twist for MoviePass coming out of the Sundance Film Festival where they announced they would be co-acquiring indie movies, such as The Orchard’s American Animals, some of the monthly movie ticket’s subscribers learned today that their app and cards no longer work at certain AMC venues, i.e. the Empire 25 in New York City. See tweets below. From what Deadline has gathered, it’s not AMC turning off the spigot, rather it appears to be coming from the MoviePass side. The MoviePass debit Master Card is accepted by any and all venues that are listed on the ticket agency’s mobile app. Essentially, MoviePass will no longer cover ticket purchases at certain big market AMC theaters such as the Empire 25 in NYC, AMC Loews Boston Common and the AMC Century Plaza. It’s not as though MoviePass won’t work at other AMC venues. Note, MoviePass doesn’t cover ArcLight Cinemas, Landmark Theateres or iPic, and that doesn’t have to do with the exhibitor, but largely the high ticket price point of these theaters, and what MoviePass is willing to cover. CEO Mitch Lowe issued the following statement about the latest MoviePass outage as many took to Twitter to complain: “As of today, you’ll find a small handful of theaters are no longer available on our platform. Our number one goal as a company is to provide an accessible price-point for people to enjoy films the way they’re meant to be seen: on the big screen. Many exhibitors have been receptive to this mission, and we’re excited to keep working with theater chains that are closely aligned with our customer service values. 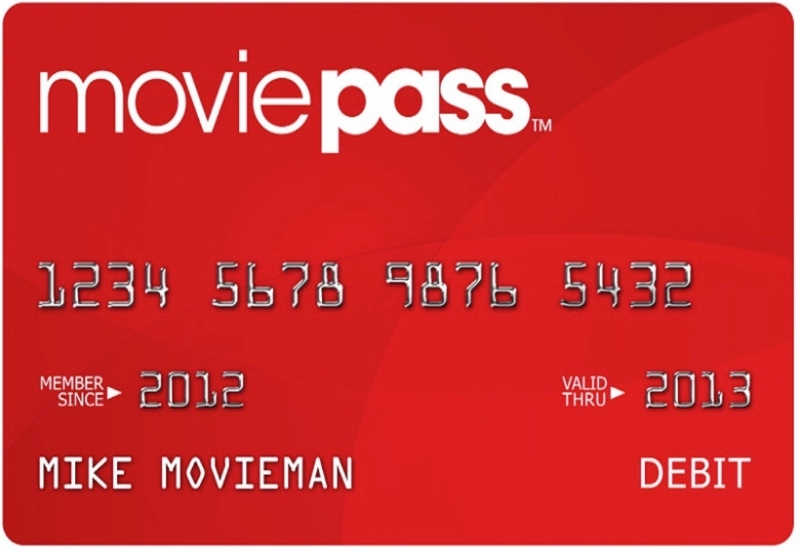 MoviePass insiders have informed Deadline that the movie ticket service covers over $2M in ticket sales weekly to AMC. Earlier today, MarketWatch announced, that MoviePass parent company Helios & Matheson Analytics Inc. filed a $400M shelf registration with the SEC on Thursday. In its filing, the company said it will, “from time to time” sell in one or more offerings up to $400M in any combination of stock, preferred stock, warrants, units and subscription rights. HMNY closed at $8.93 today, -2.4%. Current market cap on HMNY is just over $214M.